The Correlated Color Temperature CCT (Measured in Kelvin degrees) or color temperature is a scientific scale that describes how “warm” or “cold” a light source is. The scale is based on the color of light emitted by conventional incandescent light bulbs. When we heat a piece of metal (theoretically a black body which completely absorbs the light) it changes its color from red to orange then yellow, white, to blue and white. The color of light emitted by the incandescent object depends only on temperature. This dependence was used in determining the color of light as the light color temperature. 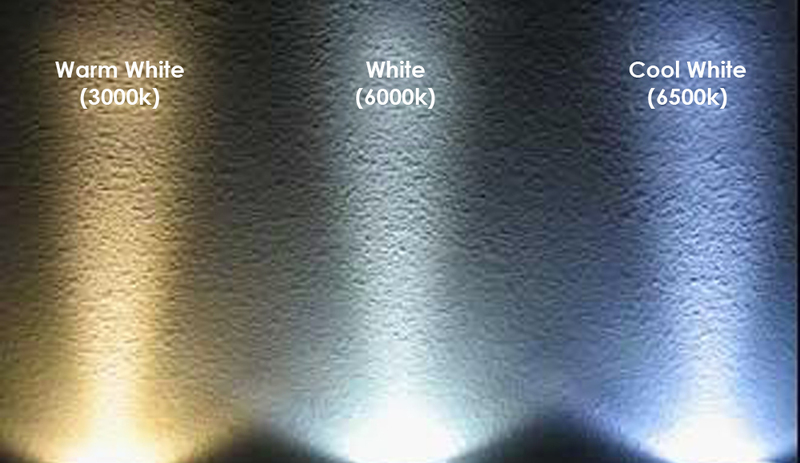 When we say that the lamp has a color temperature of 3000K, this means that a glowing metal at 3000 K would produce light of the same color as the lamp. If the metal was heated to a temperature of 4100 K, it would generate much brighter white color of light. Direct sunlight corresponds to about 5300K. On a clear day it is mixed with the color blue from the color of the sky and corresponds to 6000K or above. In a typical incandescent light bulb, the filament during lighting has a temperature of 2700 K and therefore color temperature of 2700K.